Since the Saints are playing the rare Thursday night game this week, I’ve decided to change it up a bit and offer some free seasonal products and activities! 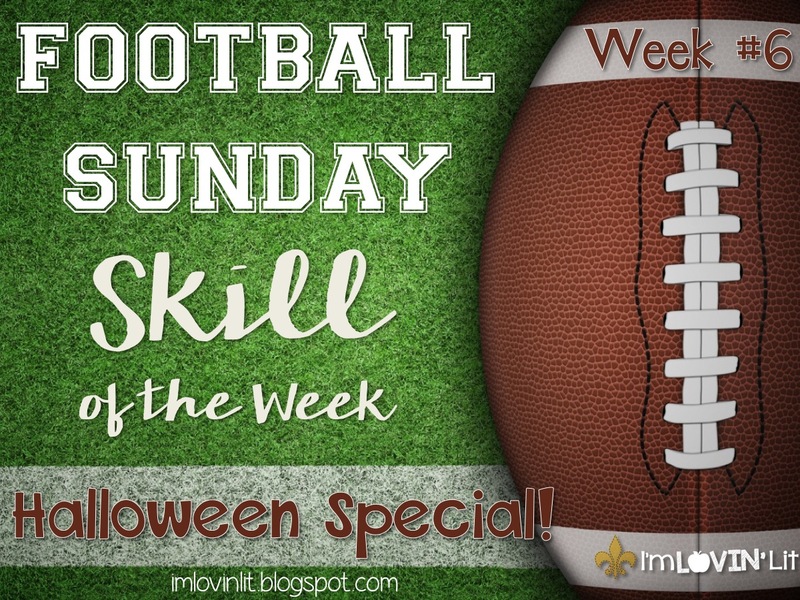 So, instead of offering a flash freebie only if the Saints win, I decided to create a brand new activity for Halloween and make it FREE for all, even if you don’t stay up late tonight watching the game. This viewing guide includes fill-in-the-blank questions for two short videos that can be viewed on Youtube. As a reminder, it is always imperative that you preview videos before showing them to students. And while you’re here and in the mood, don’t forget about these past blog posts that include some fun, full-flavor lessons that are also free! Click here to pin this blog post and read it later. Here are a few more freebies you need to download from TpT! First, grab this free coloring sheet from The Doodle Oven, run it off, and stash them for emergencies. 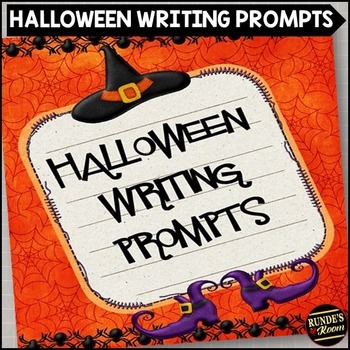 Next, download these super cute Halloween Writing Prompts from Runde’s Room. 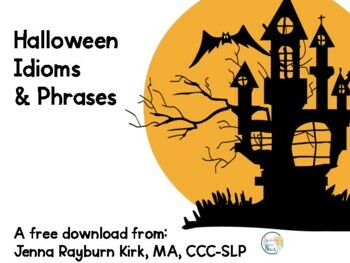 These Halloween Idioms & Phrases are still one of my favorite freebies ever! Read about how I use them in our interactive notebooks here. 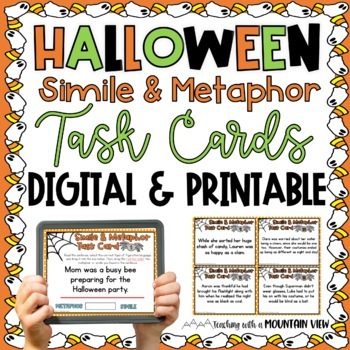 Mary from Teaching With a Mountain View has these awesome Metaphor and Similes Task Cards for free! 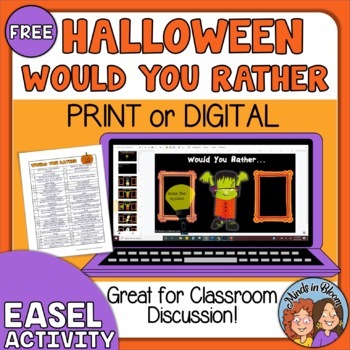 Rachel Lynette has a set of 20 Would You Rather Questions for Halloween! 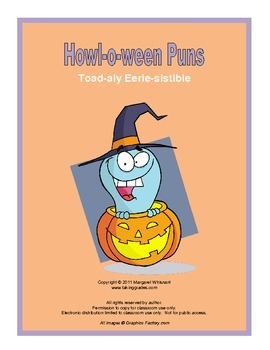 And the freebie this week that you CAN’T do without is this fun packet by Margaret Whisnant. It’s my favorite! Hey Erin! 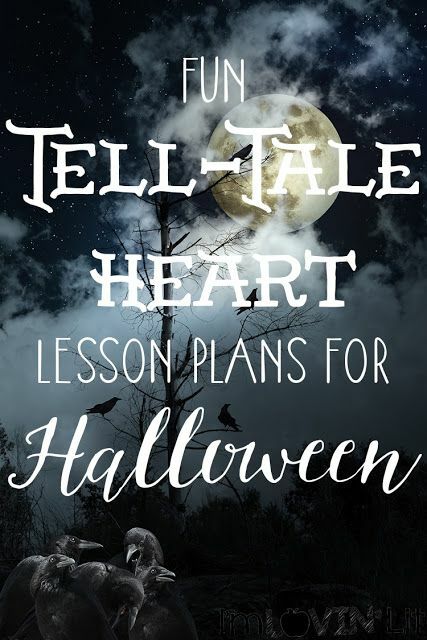 I Love love love these Halloween activities, it just so happens we are working on Fiction elements 🙂 I was wondering if you had a link for the Edgar Allan Poe bio that worked for the listening questions. The link I clicked on said "unavailable." Thanks again for everything you do. 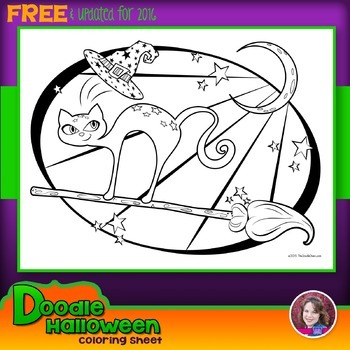 This is a "spooktacular" collection of Halloween activities all in one place! Thanks so much for putting this all together!